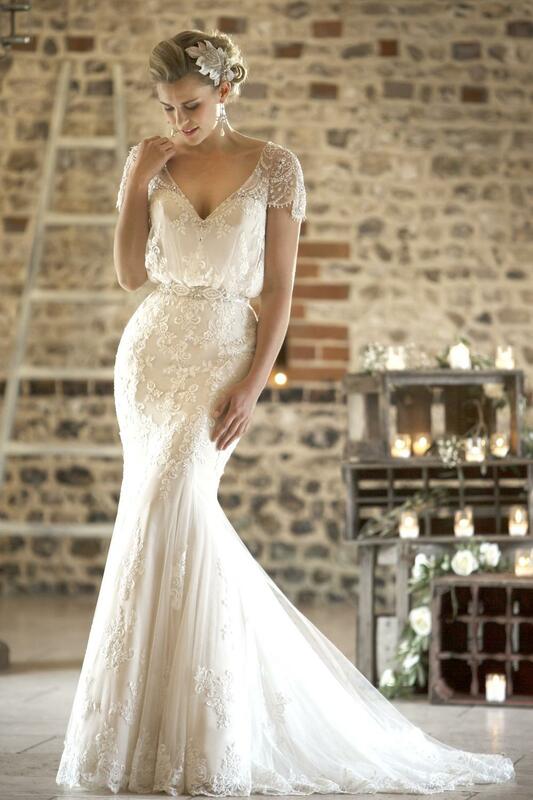 Steal the show in this stunning lace and beaded fit and flare bridal gown. The blouson style bodice has a delicate tulle sleeve encrusted with beads and pearls. An embellished ribbon belt completes the look. 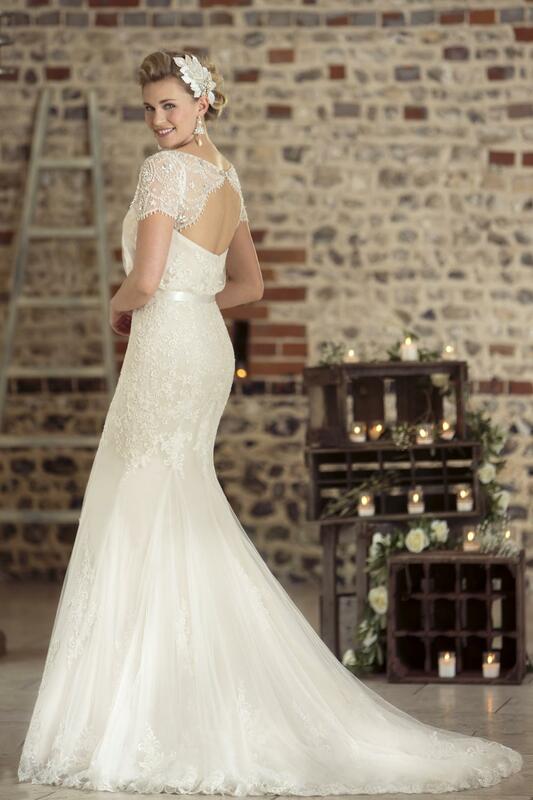 At the back find a zip closure finished with buttons and a stunning train trimmed with lace. We will send a monthly newsletter with information about us. We will not share your personal data with a third party or use it for profiling. You can unsubscribe at any time. Please see our FAQ for more information on how we handle personal data.